Thank you everyone for your entries in the giveaway. I have really enjoyed reading your comments! I have been meaning to share with you my Table Tonic purchase. It's only small purchase (I would kill for a suzani bedspread!) 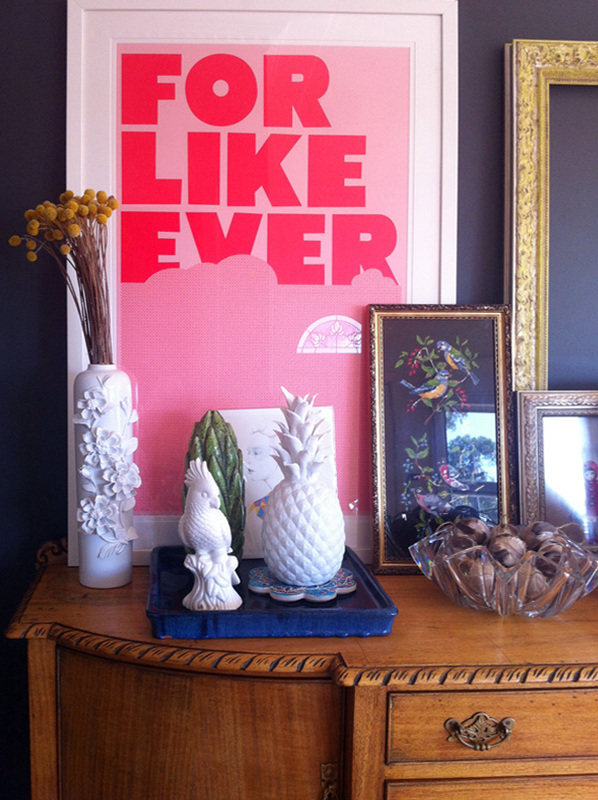 - this white parrot taking pride of place on the new sideboard. 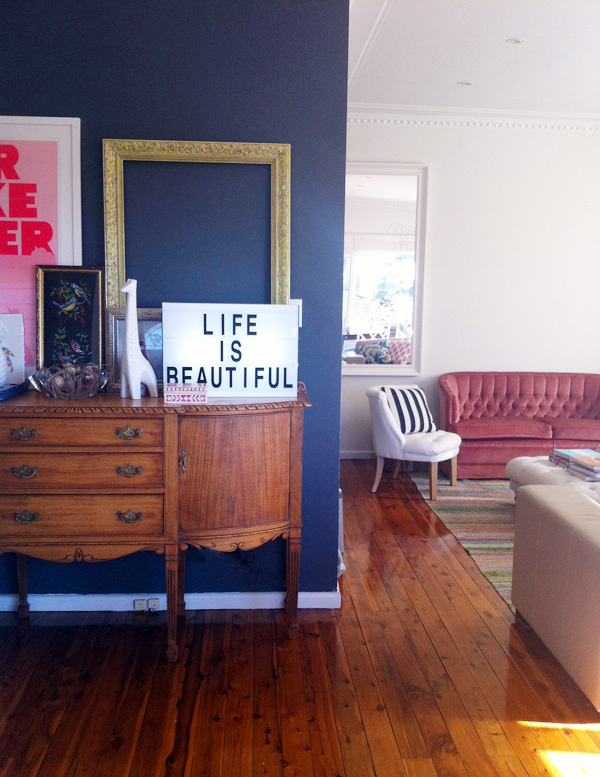 Actually this is an old sideboard that was in the studio but it has now been moved to the entrance of the house. I love it here. I think it looks lovely against the dark wall. Also we've rearranged the living space a little. This is the view you see when you first enter the house. Being a small house there is no entryway / hallway and you basically walk right into dining / living area. Previously you were greeted by a flat screen tv (not that there is anything wrong with that) but now it's "hello, beautiful sideboard and pink velvet chesterfield". The house has a good feel to it.